Microlearning is the process of learning in short, effective segments. It works by providing learners with digestible, relevant, interactive learning resources they can apply right away. A study lead by H.F. Spitzer found that modern learners forget 80% of content from a training session or workshop. Experts also say that you lose part of your younger audience at 90 seconds and a majority of the audience at 3-4 minutes. Here’s why: Gen Xers and Millennials prefer short duration, high value content. They want critical information in a condensed format and they want it delivered electronically to be used on their time schedule. Cost Savings – microlearning courses can be produced in 300% percent less time and 50% less cost than traditional courses. Sounds great, right? But how do you implement a whole new training around microlearning? 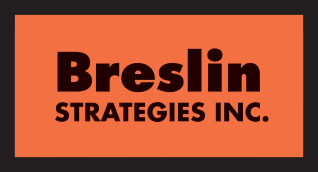 Breslin Strategies is the first company focusing on microlearning lessons specific to the construction industry. 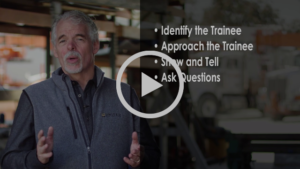 The Professional Construction Leader (PCL) leadership coaching videos were created with these specifications in mind; focused content, cutting-edge micro-learning lessons and the flexibility of mobile technology. An on-demand video library providing leadership strategy, practical advice and an inspiring message to transform your field leaders. The PCL Series provides provoking insight into critical areas that improve job site performance, communication and motivation. Over 14,000 construction field leaders are already benefiting from our PCL leadership microlearning and coaching! Click here for more information on Professional Construction Leader (PCL) microlearning and coaching and to see sample lessons.